Don’t let Vietnam’s relaxed attitude to life fool you; there’s so much here to see, visit, and experience! If the floating markets, bustling streets and emerald paddy fields aren’t enough, you’ll also experience the famous Vietnamese hospitality as you get involved with playing games, singing songs and planning arts projects in one of a number of local community development centers such as orphanages or with disabled children. You’ll play a valuable role in the overall development of the children and your efforts will last long after the sun tan fades! If you enjoy a challenge, this voluntourism project for communiys development is the perfect way to discover why Vietnam is becoming one of the hottest destinations in Asia, and have lots of fun while you do it. Experiencing living in this bustling, vibrant city – a lifetime of memories! Working hours: Flexible; usually Monday to Friday, up to 8 hours a day; all other time is free. What does the project do and why does it need volunteers? We work with a number of orphanages/disabled children centers across Hanoi and you will be placed in one of them depending on need and availability. The children who live at the orphanages/disabled children centers are both male and female and are aged between 1 and 18 years, with the older children attending school during the day. We also work with a shelter specifically for boys as well. Some of the children living at the orphanages have special needs and you will also be volunteering with these children too. The centers that we work with can vary in size from 20 to 250 children, so be prepared for a busy schedule! The full-time staff members who work at the center are very dedicated but do not have enough time or pairs of hands to give these children the individual attention they need and deserve, and by volunteering at one of these centers you will be able to help with this. You will also be working with children who are mentally and physically impaired, helping them to learn skills that will enable them to become a valued member of society when they get older, and instilling a sense of self worth. While the children at the projects do have access to education provided by the government, they are usually unable to benefit from it fully due to the many complexities in their lives. The support that our volunteers provide allows the children to improve their English and social skills, which will create more opportunities for them in the future, and enable them to learn about a new culture. The orphanages or disabled children centers are located in the heart of Hanoi, the capital of Vietnam. Here you will find traditional street markets and pagodas alongside modern architecture, international cuisine and Vietnamese cultural influences. It’s a bustling metropolis and motorbikes are everywhere! Just 160km from Hanoi City you’ll find Halong Bay (a new natural wonder of the world). It is a famous destination for travelers who enjoy cruising Halong Bay and soaking up the local atmosphere. What’s the project like and who is it for? 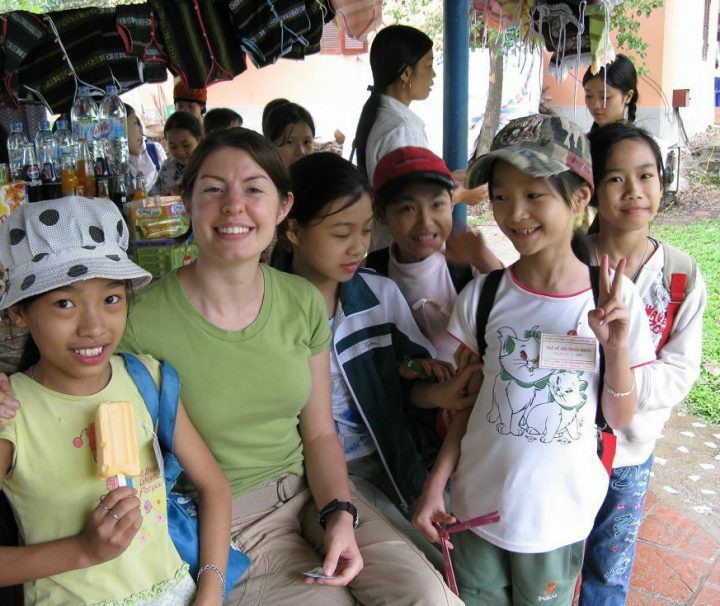 This voluntourism project is ideal for anyone who loves children and is keen to make a difference to the lives of the underprivileged, often pushed to the sidelines of Vietnamese society. Conditions at the centers are basic, and the large number of children will mean you may find the experience overwhelming at first. Don’t let this put you off though – these projects are very rewarding and you’ll be making a real difference to the lives of the children you meet. It’s important to remember that attitudes towards orphans and special needs children will be different to what you’re used to, and by offering these needy children your time and attention you’ll make a real impact on their lives and their future. Although you do not require any special skills, any experience working with children or young people would be valuable. Volunteers must be able to use their initiative and be motivated to work without guidance. You should be patient, compassionate, resourceful and imaginative. You will be volunteering Monday to Friday with your weekends free to explore, something we can help with. Your schedule will be flexible depending on the needs of the project, and will be arranged during your introduction to the project. You could be volunteering in the mornings, afternoons, or a mixture of both, and should expect shifts between 8am and 5pm. Please note that lunch lasts on average of about 2 hours and it is not uncommon for children and staff to put their heads down for a nap! During this time you can enjoy lunch, explore your surroundings or take a nap too if you are tempted! The most important role will be to give the children love and attention. Be prepared to give lots of cuddles! If you’ve got a special skill or interest you’d like to introduce to the children, or if you’d like to give any additional time to the project, then it will be very welcome! During your time there it is possible that you will be able to work at more than one orphanage or disabled center and our team in country will be able to help you with this. All of the orphanages/disabled children centers are under-resourced so you will need to use your initiative when planning activities! Have a brainstorm of ideas for songs, games and simple lessons that you can do with the children that don’t require too many props. If you’d like to make a donation to your centers then things like stickers, craft materials, stationery, toys, clothes and books are always welcome. A lot of these resources can be purchased when you get to Vietnam, which will have the added bonus of helping the local economy as well as saving space in your luggage! Books with English words, flash cards and souvenirs from your home country (flags, postcards, traditional items etc) are a great way to introduce yourself to the people at the project and help them to learn about you and your culture. Please remember that you will be acting as a role model for the children and should therefore behave and dress appropriately. You should not wear revealing clothes, or t-shirts with slogans that may cause offence. The children will look to you to learn social skills and manners, so remember to stay on your best behavior at all times! What exactly do voluntourism projects provide? It may seem like a strange concept to pay for your travel experience. You’d be right if you think you shouldn’t and the truth is you actually don’t! Your placement is free; it’s the benefits around it that you pay for. 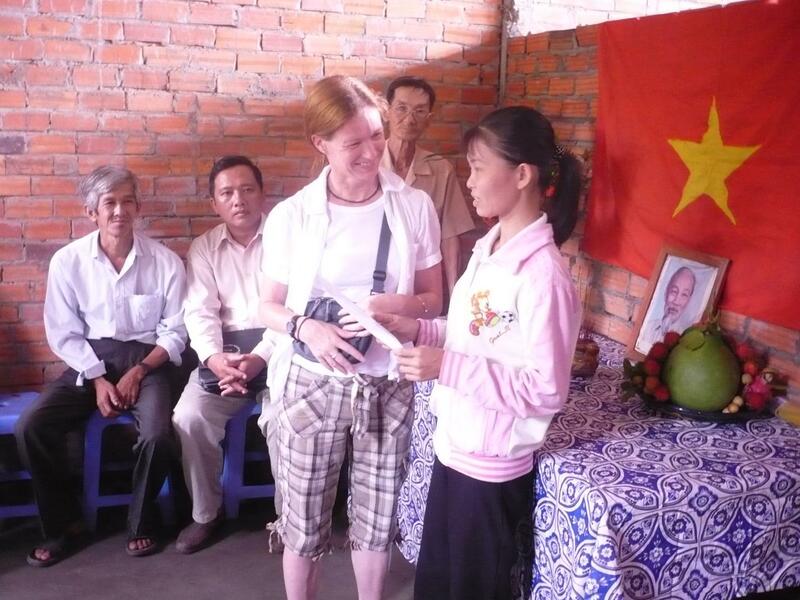 It’s important to note that Adventurevietnam is a travel company and not a charity. We provide a professional travel service. We are responsible for finding and assessing worthwhile projects and travel destinations across the country, preparing you for the volunteering experience and traveling and supporting you whilst you’re there. We work with many locally run partner projects around the country and are constantly sourcing new opportunities. We visit all projects to check that they are worthwhile and legitimate and we also conduct a thorough safety assessment before we’ll send travelers there. Almost everyone who works at Adventura Travel has traveled extensively. This means we’re a goldmine of information; we’re always available to offer support and guidance before, during and after your trip. Once you book on to a voluntourism project for community development you’ll receive general information about volunteering activities and the destinations on your chosen trip and how to have fun and stay safe. We’ll also give you advice on visas. It can be pretty daunting arriving in a different country for the first time – especially after a long flight! If you arrive on your trip start date, there’ll be a welcoming face at the airport to pick you up and take you to your accommodation. Soon after you arrive you will attend a thorough orientation with our in-country team. This is to cover important safety and security information for your trip. You’ll also get some tips about sightseeing options for your time off and maybe even learn some of the local lingo! 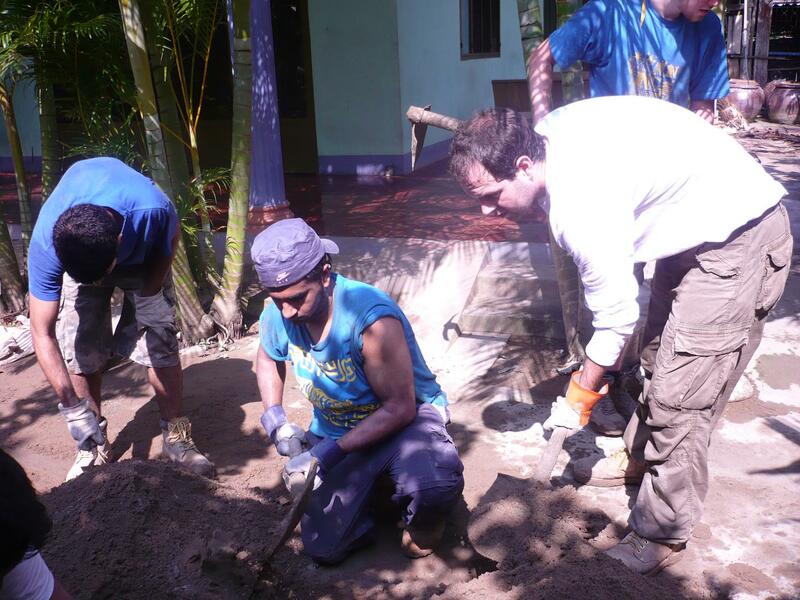 Accommodation is included with all voluntourism projects and meals are even included with some. We only use locally owned and operated accommodation so that part of your trip fee is filtering back into the local economy. Most projects offer homestay, guesthouse or shared volunteer houses as standard accommodation, but some offer the chance to upgrade to a more comfortable living standard. The local in-country team will arrange a pick-up for you at the airport and will conduct your orientation upon arrival. All coordination teams are English speaking and know the area well as tney are locals. The in-country team won’t be at your project every day, but will be on call 24 hours a day, seven days a week if you need us. Aside from the local support from your in-country team, you’ll be given access to a 24/7 emergency phone line manned by our response team in case any problem should arise while you’re working at your project or on your trip. The safety and security of our volunteers/travelers is paramount. For this reason we provide ongoing crisis management and emergency response training to our local teams around the country. We don’t fund our projects directly from the trip fee that you pay us. Instead we choose to support a number of projects through our Adventura Foundation initiative to provide resources to those projects that really need it. We make no secret of the fact that part of your trip fee is reinvested in recruiting people just like you! Many of our voluntourism projects rely on assistance from international volunteers/travelers, so it’s necessary for us to put together brochures and websites to find the people who can support them. This recruitment process is vital to ensure programs have a constant stream of reliable volunteers. 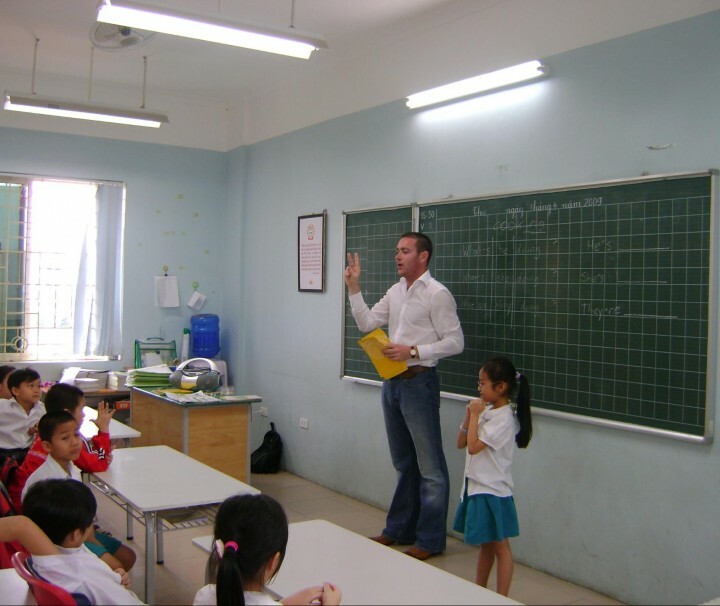 Voluntourism projects for community development through a company like Adventurevietnam have a lot of intangible benefits for developing local communities, for the individual projects that we work with as well as the volunteers. Whether you’re looking to build on your educational portfolio through a voluntourism project or want to climb the career ladder with voluntary work experience abroad, you’ll gain skills for life through a volunteer travel experience. Our volunteer trips are a great starting point for taking time out, either before or after university, giving you a taste of independent travel in a safe and organized environment. The skills gained on your travel experience will give you much needed confidence for when you continue onto university or into the world of work. Gaining vital work experience doesn’t have to mean working for free in the office of some faceless multinational corporation. There is another way… We have a range of excellent travel experience opportunities across Vietnam as well as a range of trips that allow you to have some fun while you improve your CV. Travelling with Adventurevietnam allows you to really get under the skin of a community and integrate yourself into their culture. You are not passing through as a tourist, you are becoming part of their community, working with them to achieve their goals and improve the overall quality of life. Voluntourism projects clearly benefit from the contribution and enthusiasm of our volunteers/travelers. As a volunteer you will help greatly in achieving the project’s goals and their mission to continue to develop the local community. Local communities tell us in no uncertain terms that they benefit enormously from the support of our volunteers/travelers, as well as the social interaction between the volunteers and local people. This helps to break down preconceived perceptions of Western travelers and forms a deep-rooted and meaningful union between different cultures. What type of accommodation will I be in? Our volunteer accommodation in Hanoi is a hotel in the main backpacker area of the Old Quarter (Hoan Kiem District). You will share a room with fellow volunteers/travelers (up to 2 people per room) and each room has a private bathroom. There is a lounge area with sofas and a TV for you to relax in the evenings and you are within walking distance of the main backpacker area where you will find bars, restaurants and internet cafés. Our volunteers will stay in a hotel which is simple and air-conditioned and close to the popular tourist area in Hanoi. Each room has air conditioning and linen provided as standard; you’ll also have free wifi internet access and cable TV in your room. The room has an en-suite bathroom with western toilet, shower and hot running water. There is a lounge area with seating and TV for you to relax with fellow volunteers at the end of the day. You are also within walking distance of the nightlife in the Old Quarter as well as supermarkets, laundry and shops for buying any essentials. Food is not included in this trip; you should budget around US$50 per week for meals based on cheap local food and for Western food or restaurant meals it will be considerably more. It will be around US$1.50 for breakfast, $2 for lunch and $3 for an evening meal based on local food and more for Western fare. You will find plenty of places to eat in the Old Quarter from cheap local food to more expensive options. Located in the heart of Hoan Kiem District where you will find many key attractions, bars, restaurants, shops and nightlife. It’s a great place to be based to explore all that Hanoi has to offer and also close to the majority of entertainment services for your weekends or free time. The in-country team’s office is also close by. How far is it from my project? 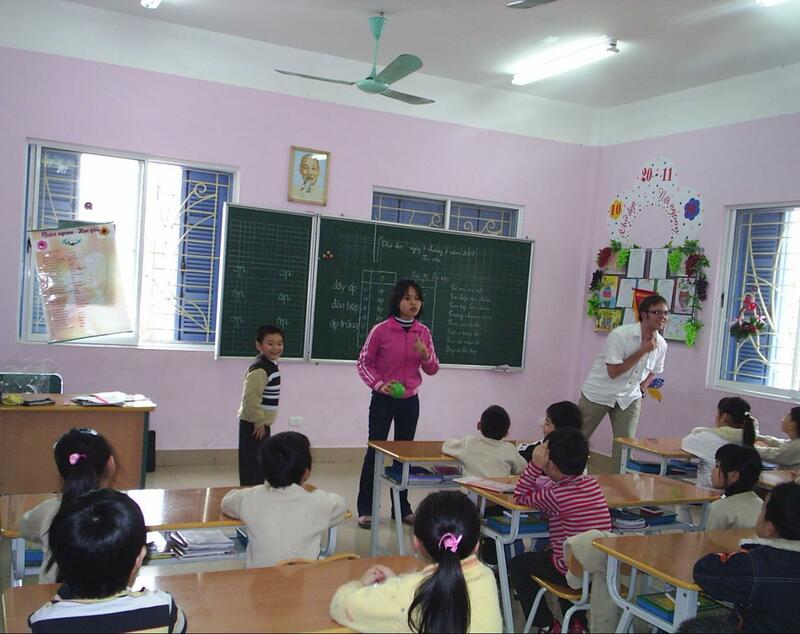 As the orphanages we work with are in various locations within Hanoi then distances will vary. You will travel to your project each day by taxi or public bus. You should budget around US$80 per week for this commute if taking a taxi, which is approximately a 30- to 45-minute journey. Most other things can be purchased in Hanoi. Take contact details of the in-country team and where you’re going in your hand luggage – just in case!